As we all know, the general industry rule for the delivery of a Chiller is 12-16 weeks. But what happens when a client urgently needs a Chiller with the air handling units delivered and installed within 8 weeks? 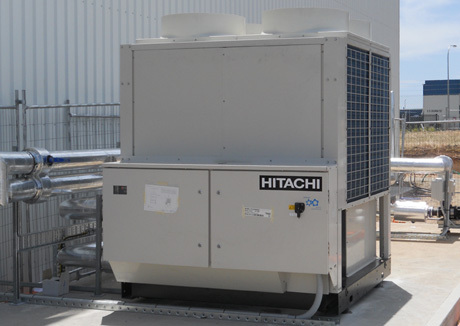 The Temperzone SA office supplied the complete package of a Hitachi 112kW Screw Chiller and 8 x Temperzone IMD550 4/1 (2,200l/s ea) air handling units. Our unique ability to supply the Hitachi chiller from stock and manufacture the Temperzone air handling units in four weeks meant the premium wine storage facility was ready and operational for the first shipment of wine. Its a great example of the synergy between Temperzone and Hitachi products. In today’s global economy, goods are easily imported from all around the world. But there are times when only the best quality products are right for the job and that means locally engineered and manufactured units. How much do you know about Superheat? We have rewritten our very popular Superheat Explained article and presented it as an online training module. Try our online training and find out how much you really know about Superheat. School based apprenticeships have allowed Temperzone to invest in the development of talent for both our company and the air conditioning industry as a whole. The Temperzone trade website temperzone.biz has recently received a substantial makeover. As the gateway to Temperzone technical and product information, ensuring the website meets the needs of its users is a high priority.